Swizz Beatz, who you may know as Alica Keys' husband, a rapper, and a Lotus design collaborator, looks to have a new British car on his hand. But instead of sticking with Lotus, he went a bit more old fashioned and picked up a Morgan Aero Coupe. While it is the most modern Morgan on the road, it's still decidedly old fashioned and has ash in the frame. 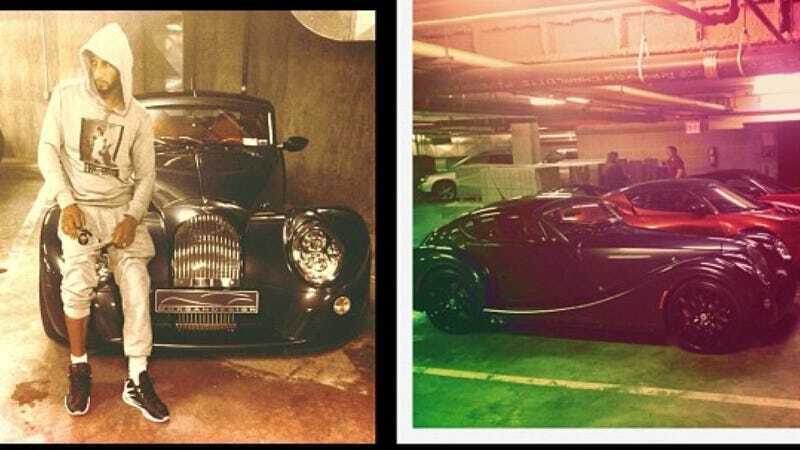 In a tweet, Swizz showed off a picture of the car and asked for a little help naming it. His only requirement is that he normally names the cars after artists. He suggested Jean Michel, but we can definitely do better than that. Sound off with some names for the no longer cross-eyed Morgan in Kinja below.